Established in 1966, named in honour of navigator Matthew Flinders who explored and surveyed, the South Australian coastline in 1802, Flinders University is a public university located in Adelaide, South Australia. A member of the Innovative Research University Group, the institution enjoys a well-justified reputation for its excellence in teaching and research. The Times Higher Education Australian World University Rankings 2016 places Flinders University within the 10th – 17th bracket. Similarly, the University is ranked in the top 100 universities under 50 years old by the Times Higher Education 2015. Flinders ISC provides academic and English language foundation courses needed to successfully progress into a degree at Flinders University. Flinders ISC pledges to develop the student’s academic knowledge in subject areas relevant to the chosen undergraduate degree and learn key study and independent learning skills. The Foundation Program provides comprehensive English language and academic preparation; ensuring students are fully prepared for studying an undergraduate degree. The Standard Program lasts 2 trimesters (14 weeks) over 8 months while the Extended Program lasts 3 trimesters (14 weeks) over 12 months. 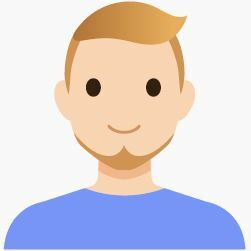 Intakes are usually in the month of February, June and October. The Diploma of Commerce will prepare students for joining the second year of a business or commerce degree at Flinders University. The program structure either lasts 2 trimesters (14 weeks) over 8 months or 3 trimesters (14 weeks) over 12 months. 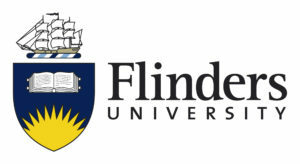 The Diploma of Science will prepare students for joining the second year of an engineering degree at Flinders University. The program structure either lasts 2 trimesters (14 weeks) over 8 months or 3 trimesters (14 weeks) over 12 months. Completion of the Pre-Masters Business Programs guarantees entry to the Flinders Business School’s Master of Business, Master of Accounting or Master of Accounting and Finance postgraduate degrees. The Accelerated Program structure lasts 1 trimester (14 weeks) over 4 months while the Standard Program lasts 2 trimesters (14 weeks each) over 8 months. Fill in the form below to schedule with us an appointment to meet with representative for Flinders International Study Centre.